Travel past 12 Queens Road at the moment and massive banners adorn the existing car park highlighting one of Melbourne's premier apartment developments in the making. 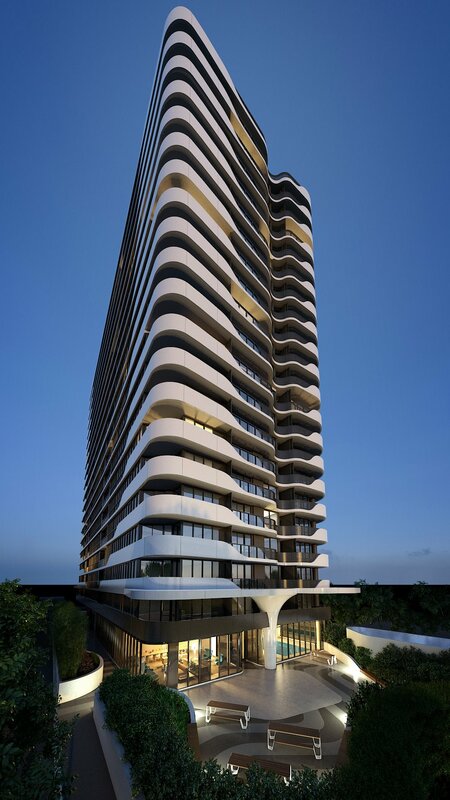 The latest project by developer Kangoala, Queens Domain will be aimed toward apartment buyers seeking large living areas and exceptional internal finishes featuring a number of firsts. Urban Melbourne recently spoke with PDA Australia Development Manager Andrew Rice who has once more teamed with Kangoala following the success of the recently completed Emporia Apartments in Prahran. At the heart of discussions is the role which PDA Australia plays within the development process and how this translates to innovative outcomes within Queens Domain. As a development management company PDA Australia offers essentially a one stop consulting service encompassing roles such as site analysis & acquisition, project feasibility analysis, planning permit application submissions, project management and various property related negotiations. In this way Kangoala has entrusted PDA Australia with the bulk of Queens Domain's development process. Andrew Rice explains that by doing so PDA Australia maintains an integral role in the design process, appointing dKO Architecture with the principal design of Queens Domain, MDG landscape architects for external areas and Nexus Designs for the interiors. Describing each project as a stepping stone toward greater use of technology and innovation, emphasis is placed on the delivery of 238 distinct homes within Queens Domain rather than a generic apartment block. With intense application to the cause and scrutiny over all aspects of the project's design, PDA Australia have implemented a number of intriguing design features within the project. These features are not price driven, but guided by sourcing quality, efficient products that can be easily installed during the construction process. In describing his many overseas sojourns in order to research interior solutions for the project, Andrew Rice settled upon a number of European suppliers in order to provide Queens Domain with a point of difference. 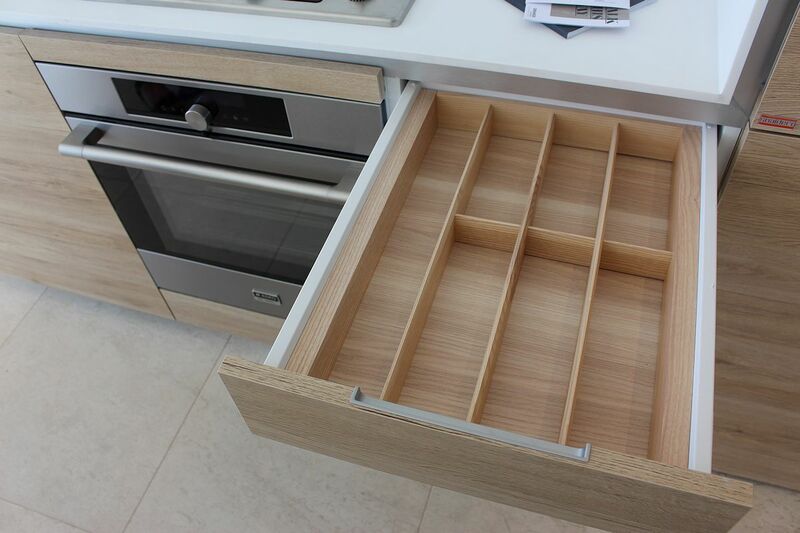 Chief amongst these are the Snaidero modular kitchens custom designed for Queens Domain. Manufactured in northern Italy and present in the display suite, the Snaidero units are of an excessively good quality, larger than most traditional apartment kitchens and maintain an organic feel. While the form is impressive, it's the functionality during installation which leads to savings in both time and trades. 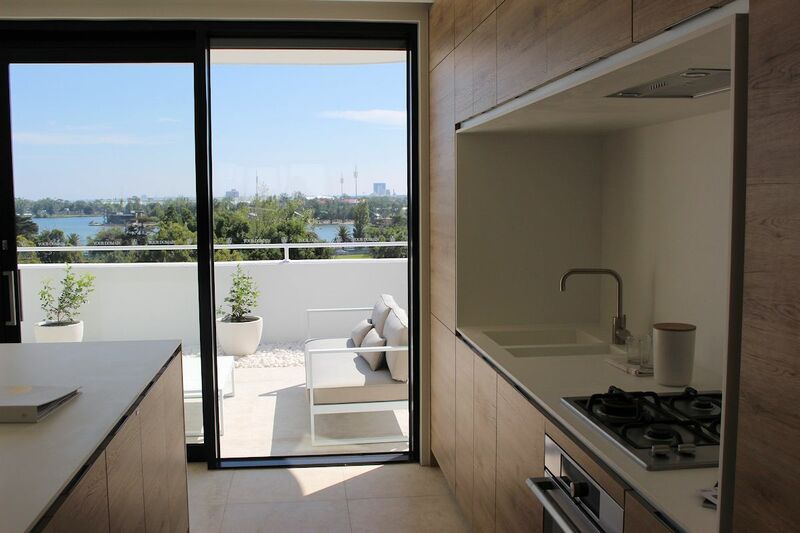 PDA Australia also approached Asko to provide appliances; quality in nature but with limited exposure to residential apartment projects, Andrew Rice reinforces that PDA Australia's stance was to source the best available products regardless of location or public profile. Also based in northern Italy, Pianca wardrobes were chosen to provide functionality to storage spaces while prefabricated doors, stone tiles sourced and pre-cut in Athens plus moulded bathroom sinks add to the list of innovative interior solutions. A feature of the overall apartment floor plan is dKO Architecture's tailored design responding to what are traditionally large blocks fronting Queens Road with built form set back from all boundaries. With views and natural light emphasised, dKO have provided bedrooms with windows to two directions. In doing this Queens Domain maximises natural light penetration to all apartments; no apartments with borrowed light here! Single bedroom apartments begin at 47sqm with two and three bedroom dwellings also included. The largest apartment on offer holds 166sqm, adding to PDA Australia's stance that large, liveable spaces are what is desired in the marketplace. As of last week in excess of 100 apartments within the 238-apartment project have sold with modest sales to overseas clients. With a focus toward the owner-occupier, Queens Domain's onsite elevated display suite is expected to see strong visitor numbers, while also providing prospective buyers with an accurate representation of the vista on offer. In a novel method to generate project interest, viewers of the Queens Domain website can register their details with the knowledge that a 2015 Grand Prix Experience is on offer which includes corporate tickets for two, a nights accommodation at The Langham Hotels and Resorts and dinner at Southgate’s Pure South.